New protocols at the Oakland Unified School District—and at other such districts in states across the country—are reassuring their students in the face of a newly weaponized immigration policy. 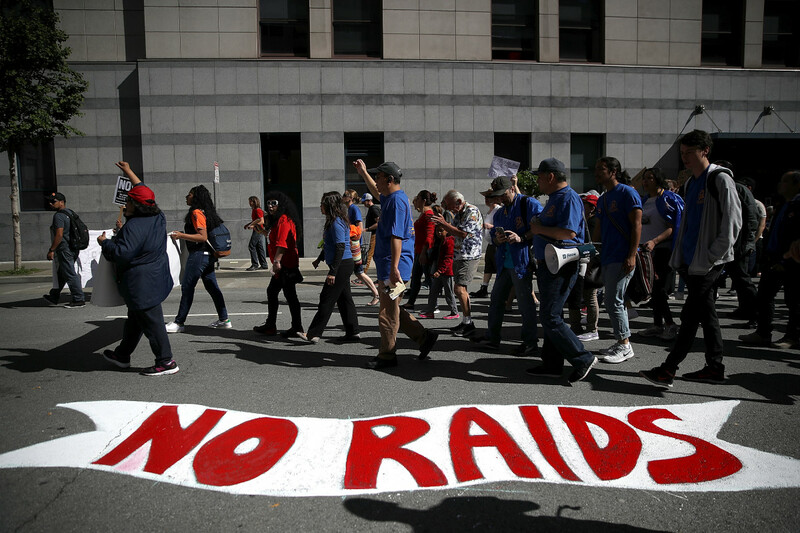 Protesters march during a May Day demonstration outside a U.S. Immigration and Customs Enforcement office in San Francisco, California, on May 1st, 2017. The day after Donald Trump was elected president there was a conspicuous drop-off in attendance across the Oakland Unified School District. Families were afraid to send their kids out into the world for fear they&apos;d be snatched by Immigration and Customs Enforcement agents on the way to school; students had heard Trump&apos;s promise to immediately deport or incarcerate two or three million undocumented immigrants. A similar drop in attendance had happened before: Following a pair of raids by ICE in May of 2008, rumors quickly spread around the Bay Area that agents were circling public schools, waiting for the right moment to apprehend undocumented students in the middle of algebra class. The gossip turned out to be unfounded—at least when it came to ICE agents being on school grounds; two families in Oakland and Berkeley were detained when their homes were raided. Trump&apos;s presidency represents something more sinister than mere rumor. As a candidate, Trump ran on the promise of a massive deportation program that would focus not only on criminals but also on those who simply crossed the border illegally. It&apos;s one of the few campaign promises Trump is following through on: During the first three months of his presidency, 21,392 undocumented immigrants have been detained by ICE, compared to 2,500 during the same period in 2016. Many of those detained have no criminal records, a stark contrast to previous administrations, which have de-prioritized detaining immigrants without a rap sheet. That&apos;s only the beginning, according to a pair of Department of Homeland Security memos released in February. The department is planning to expand so-called "expedited removal," whereby immigrants are deported without ever going before a judge or having a hearing, and wants to send anyone crossing the southern border illegally back to Mexico—even if they aren&apos;t Mexican. The DHS is planning on adding 10,000 more ICE agents and expanding immigration detention centers, more than 70 percent of which are run by for-profit prison companies. 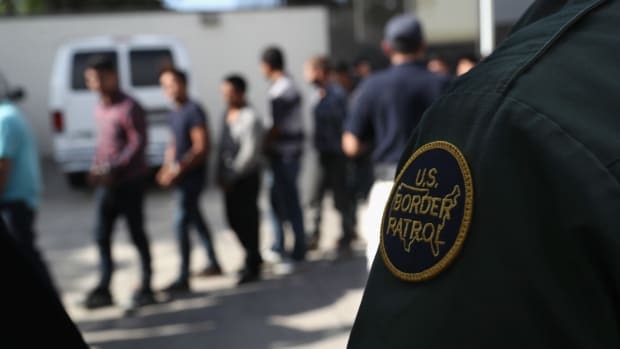 (The DHS is also renegotiating contracts with those prison operators, and all signs point to a significantly reduced set of rights and privileges for immigrant detainees.) When federal immigration authorities flex their collective muscles, they terrorize a population already leery of engaging with public services. ICE Director Thomas Homan put it this way just last week: "You committed a crime by entering this country, you should be uncomfortable. You should look over your shoulder." "We wanted this to be a unified response that gives kids a place to feel safe and calm.... The district has doubled down on protecting our community." That federal antipathy toward immigrants has led dozens of cities to designate themselves as "Sanctuary Cities," a move that has needled the Trump administration and spurred the president to issue an executive order that aimed to cut off all federal funding to cities that refused to cooperate with federal immigration agents. Miami, Los Angeles, Chicago, San Francisco, New York, and dozens of other cities have ordered their police departments to decline to assist ICE in accelerating deportation programs, forcing ICE agents to operate without the complicity of local law enforcement. Oakland has taken protecting its undocumented citizens one step further and provided cover for the most vulnerable of populations: kids. In the aftermath of the 2008&apos;s raids, the Oakland Unified School District passed a resolution declaring itself a Sanctuary School District. (Disclosure: My brother was a teacher in the system for several years.) The district reaffirmed this status in December of 2016, developing a comprehensive action plan that addressed renewed anxieties among students and their families. (Following last year&apos;s election, the school districts serving New York, Los Angeles, and Chicago have all also codified their support for immigrant families and will not cooperate with federal immigration authorities.) 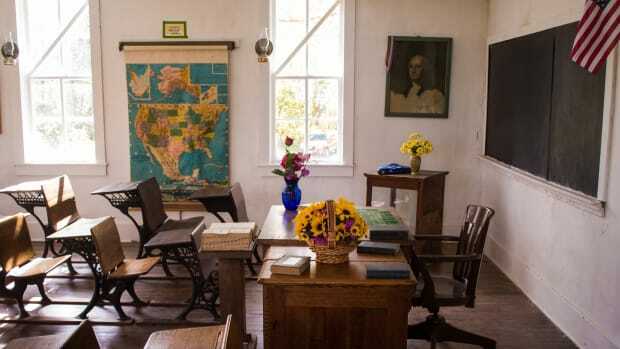 Teachers and administrators were trained on what to do if ICE ever approached school grounds; parents were educated on available resources such as legal assistance and a bail bond fund; and students were given a space where they could voice their worries and, at least momentarily, forget about what was happening outside the schoolhouse. "If students are afraid that when they go home that one of their parents won&apos;t be there, they&apos;re not going to be able to focus on school," says Nicole Knight, the architect of Oakland Unified&apos;s sanctuary action plan and the executive director of the district&apos;s English Language Learner and Multilingual Achievement Program. Knight focused her efforts on strengthening local ties—she says "one of the hidden purposes of ICE raids is to divide communities"—and educating teachers, staff, parents, and students on their rights and the resources available to them. "It&apos;s our responsibility as educators to deal with these issues and make sure that our schools are safe places and that we&apos;re strong as a community," she says. "We&apos;re going to do everything we can to make our families feel safe." 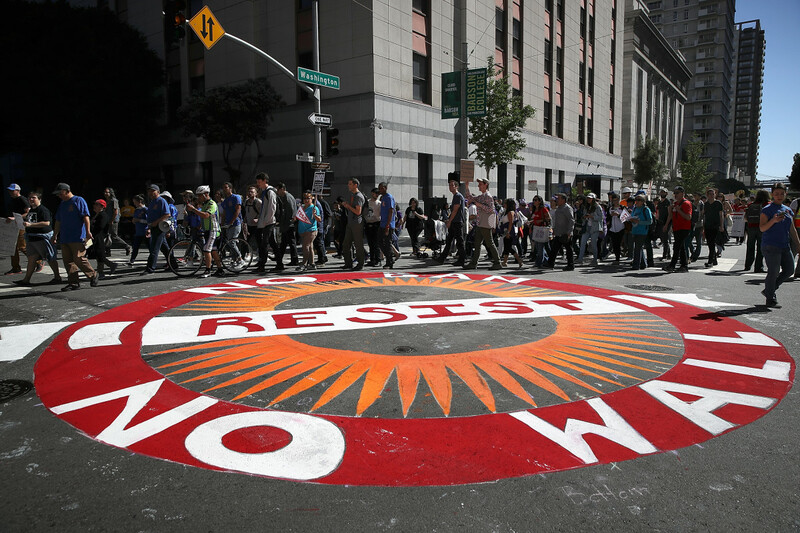 Protesters at a May Day demonstration outside a U.S. Immigration and Customs Enforcement office in San Francisco on May 1st, 2017. The school district&apos;s protocol is tinged with a siege mentality, a natural tilt for a community that has felt targeted by the mendacious policies slithering out of Washington, D.C., currently. If an ICE agent were ever bold enough to approach the gates of an Oakland Unified school, a swift action plan will start whirring into life. First, protocol says the doors to the schooled will be locked and the principal alerted to an agent&apos;s presence on campus. The principal then contacts both the school&apos;s police liaison and its legal team, who quickly make their way to the campus in order to challenge any subpoena or warrant the agent may have. If a particular student is being targeted, he or she is spirited to a safe area by staff until an all clear is called and everything can momentarily return to normal. The likelihood of ICE carrying out raids on school grounds is low, but the school district refuses to take any chances. Oakland Unified&apos;s focus on fostering community among its multicultural and multilingual student base is nothing new and it even has a high school in Oakland International that is dedicated to providing education for recently arrived immigrant students. Lauren Markham is OIHS&apos;s community program manager and an evangelist for Knight&apos;s action. 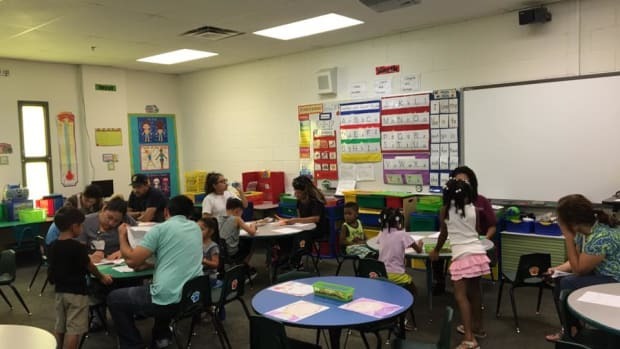 "We wanted this to be a unified response that gives kids a place to feel safe and calm," Markham says, "but we also have a rapid response plan if anything goes wrong and the district has doubled down on protecting our community." Part of that safety net is making sure that parents or students who are detained by ICE are given proactive assistance, including posting bond and providing representation for detainees. "One of the key things for getting a bond hearing is having an attorney during the process," says David Mullins from the New York Legal Assistance Group, an advocacy group that provides legal aid to undocumented immigrants. The initial representation is important because if an individual remains in custody there&apos;s a chance he or she could be transferred to another detention facility anywhere in the United States. "The way immigration law is written there is literally nothing stopping ICE from transferring any detainee anywhere in the U.S. for no reason at all and," Mullins says. "Representation is everything." Local resistance can only go so far in Trump’s America. Oakland Unified&apos;s reinforced plan has already paid some dividends thanks to help from an organization started by concerned parents who also happen to be members of the California State Bar. The Immigrant Family Defense Fund provides bail bond guarantees for detained OUSD parents so they can be released before they&apos;re transferred to the Mesa Verde detention center in Bakersfield, 270 miles south of Oakland. Posting bond not only prevents individuals from being separated from their legal representation, it also lets families remain as intact as possible and, thanks to a procedural quirk in immigration law, removes individuals from a prioritized list of deportation targets. That gives families more time to seek legal assistance from legal advocacy groups like Centro Legal de la Raza, one of OUSD&apos;s partners. "We had a parent that was detained at 8 a.m. and released by 3 p.m.," Knight says, "and that&apos;s because we followed the [sanctuary school district] protocol and we had a legal aid fund established. The parent was de-prioritized on the deportation list and now has more time to formulate a defense." This kind of grassroots victory represents a scalable model for other communities focused on protecting their immigrant populations and that a family felt comfortable enough to contact the school district after a parent was apprehended speaks to the amount of trust Knight and her colleagues have built in Oakland. 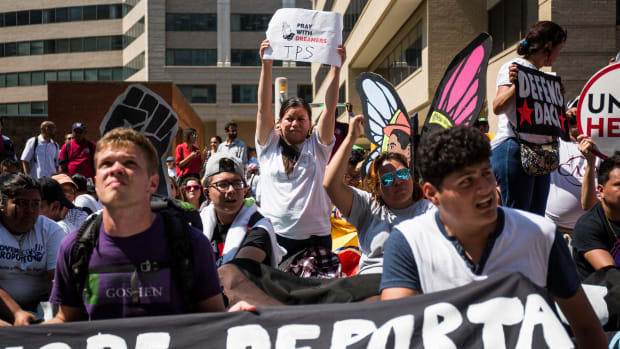 Unfortunately, local resistance can only go so far in Trump&apos;s America, and immigrants in regions without a robust support network still have reason to be anxious with the expansion of a federal immigrant crackdown. Just this week, 19-year-old Diego Ismael Puma Macancela was arrested the morning of his senior prom, just a few days before he was scheduled to graduate from high school in Ossining, New York. His mother, an undocumented immigrant from Ecuador, had been detained the day before and sent to a detention center 40 miles away in Goshen, New York. The Macancelas&apos; lawyers are now attempting to prevent the family from being deported to Ecuador, where the family fears that Diego will be forced to join a gang. Stories like this are commonplace and, in this political climate, it doesn&apos;t take much for a pall to be cast over immigrant communities. The East Bay still vividly remembers when ICE threatened to break down doors in 2008, and the constant hum of anxiety never truly dies down. "Another immigration checkpoint or another family being detained or another executive order—that&apos;s all that&apos;s needed to reignite the fear," Knight says. "It&apos;s in the air, but it&apos;s given us an opportunity to act and act decisively for our community." Teachers around the country report emotional and behavioral problems among their students as a result of ICE raids. Even kids from families under no danger of deportation are affected. Across the country, people who have taken in young undocumented relatives are being swept up in what ICE calls a crackdown on guardians who pay human smugglers. As President Trump considers releasing detained immigrants in sanctuary cities, advocates remind residents that the vast majority of detainees have not committed any crime more serious than crossing the border. Has Trump Killed Political Discourse in the Classroom? Fearful of the potential for bitter debate around the president and his policies, school administrations around the country have resorted to shutting down student discourse. 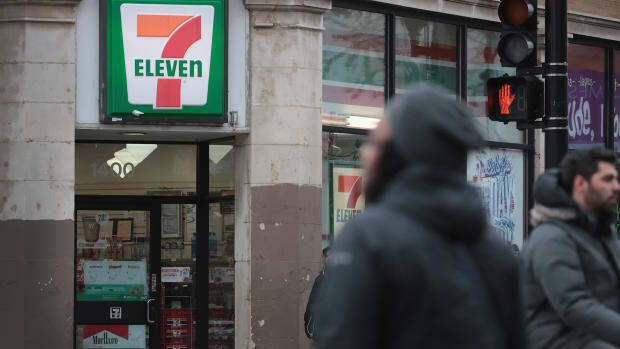 ICE's 7-Eleven Raids Won't Get Rid of Undocumented Workers. They'll Only Make Them Less Visible. Recent ICE raids could push undocumented immigrant laborers to find less formal means of employment. 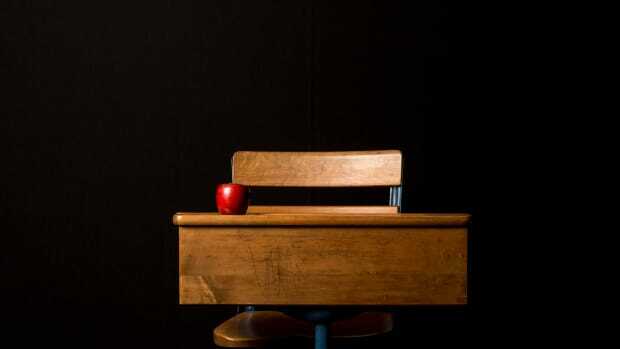 The Dayton, Ohio, Board of Education adopted a policy barring immigration agents from enforcing on school grounds. A new bill in the Ohio State House would end that.